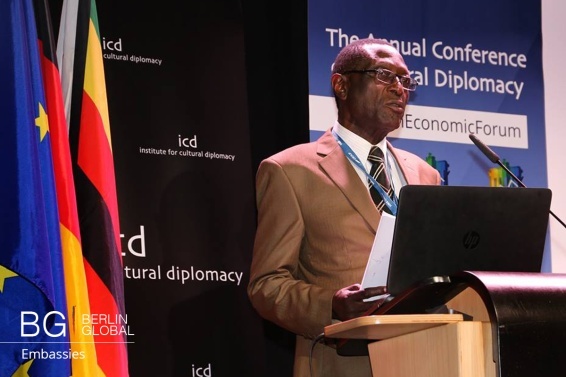 On the second day of the Berlin Economic Forum; Thursday, March 10th, 2016 the Zimbabwean representatives gave their speech on “Nation Branding: Creative Economies, Sustainable Tourism & Responsible Foreign Investments - Perspectives from Zimbabwe”. The guests were the Ambassador of Zimbabwe to Germany, Her Excellency Ruth Masodzi Chikwira, Dr. Obediah Mazombwe, the Director of nation branding, communication and business development for Zimbabwe and The Hon. 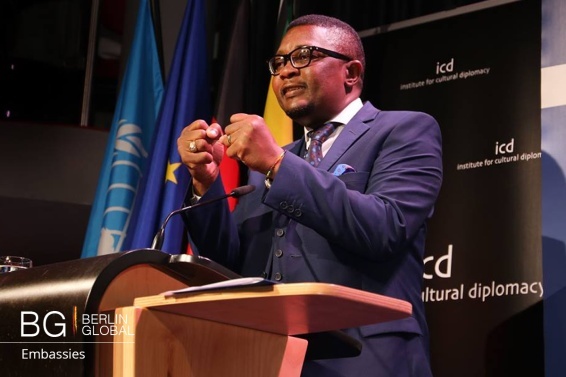 Dr. Walter Mzembi, the Minister of Tourism and Hospitality Industry of Zimbabwe. The presentation was opened by H.E Amb. Ruth Masodzi Chikwira, she talked about how Zimba-bwe uses cultural diplomacy in international relations quoting the moral of a national story that passes from generation to generation: “every people, every nation, every country has a way of doing things”. Indeed the way to behave and make choices is influenced by our tradition, our culture, our experiences and our history. She affirmed that the perception of a nation is really important and that tourism can break cultural barriers. Dr. Obediah Mazombwe then took to the stage to introduce the audience to Zimbabwe, he talked about the Great Zimbabwe National Monument, part of the UNESCO World Heritage List. He said that it is not only a physical structure but “it is a whole culture, it is an idea, a philosophy founded on the principles that include hard work, resilience, passion, perseverance, innovation and the high degree of spirituality”. Besides these values, spirituality and highly creative people, Zimbabwe has links to Chinese, Portuguese, Indian and Swahili merchants and it has branding success in the area of trading and exports. He said that nation branding in Zimbabwe can’t have only a marketing oriented strategy but it is important that it is a reflection of the reality. Indeed he said: “It needs consistency between thoughts and behavior, between policy and actions”. The Minister of Tourism, Dr. Walter Mzembi then took to the stage to present the video of the brand “Zimbabwe. A world of wonders.”. He reiterated that the strength of Zimbabwe is that people are owners of their own place. He explained that in order to improve tourism there are new airline agreements, for example the new Victoria Falls Airport and one week before the Berlin Economic Forum some Visa barriers were removed, so progress is being made. At the end of the address, there was a musical performance by three Zimbabwean musicians including the traditional musical instrument the mbira. After this performance, guests at the confer-ence were treated to a traditional Zimbabwean lunch courtesy of the Zimbabwean Embassy in Ber-lin.